TYPO3 is a popular, free, feature-rich open source content management system. It has the flexibility and scalability to more than match commercial systems and allow you to build a powerful and complex website. This book is the guide for all users of this powerful application. Written by experts and members of the core development team of TYPO3, this book is all you need to build, customize, and deploy TYPO3 websites. This book is aimed at both new and experienced users of TYPO3. 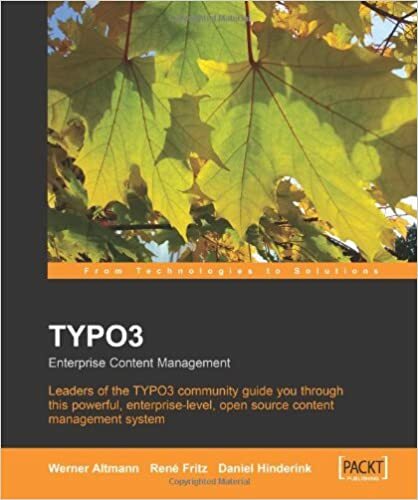 Users, administrators, and developers of TYPO3 will all benefit from this comprehensive and authoritative guide.